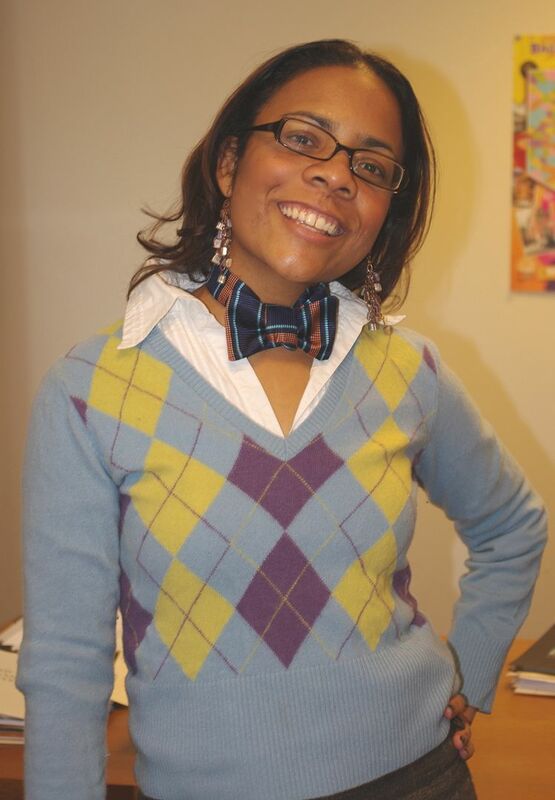 There are several natty dressers in my office who occasionally ask me about making bowties. I generally have little to no interest in sewing for other people. But, recently, Liz asked for help in making a bowtie for her boyfriend. After seeing how easy they were I whipped up six over the weekend. Before I committed to helping out Liz, I shared my tales of woe. I pointed her to posts on the sweater curse. She still wanted to do it. At my local fabric store, Guss Woolens, the cashier also told her not to do it when she went to buy the silk tie fabric. She didn’t care. Who am I to turn my back on young, blind love? First, I did some research on the various styles of ties. Thistle, Straight and Diamond. Everything else seems to be a variation on that. We also elected to use button closures. It’s a nice vintage touch and rarely seen now. Mostly because I have a lot of buttons and didn’t feel like ordering closures. There are two free patterns on the interwebs. The first is David at BurdaStyle. The second is in the LA Times. The LA times pattern needs some adjusting to make it the same length as the BS pattern. On both, I recommend adding one to two inches to the length if the person has larger than a 15 inch neck. 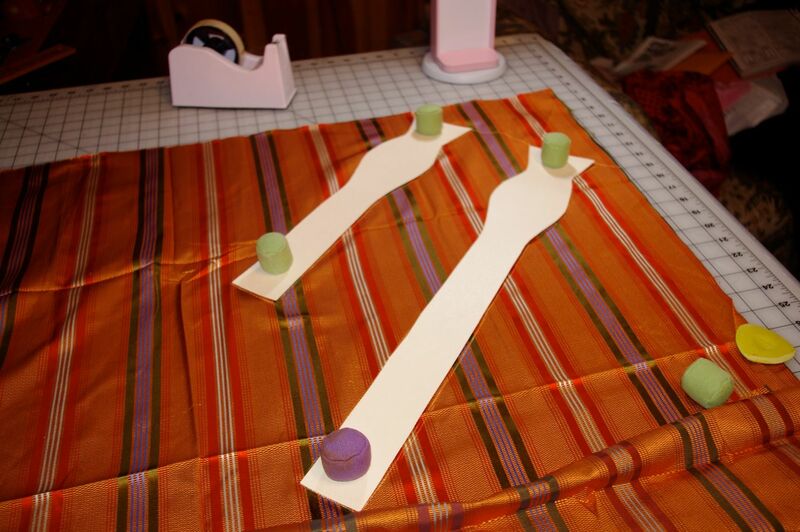 After a few muslins, I made up a manila template and traced my pattern onto my material. Very assembly line. I used one layer of drapery interlining for the interfacing. The interfacing helps your bow stay nice, full and crisp. Habermans recommends drapery interlinging for tie interfacing. I wasn’t clear from my cursory research what kind of interfacing bow ties use, so I went with this. 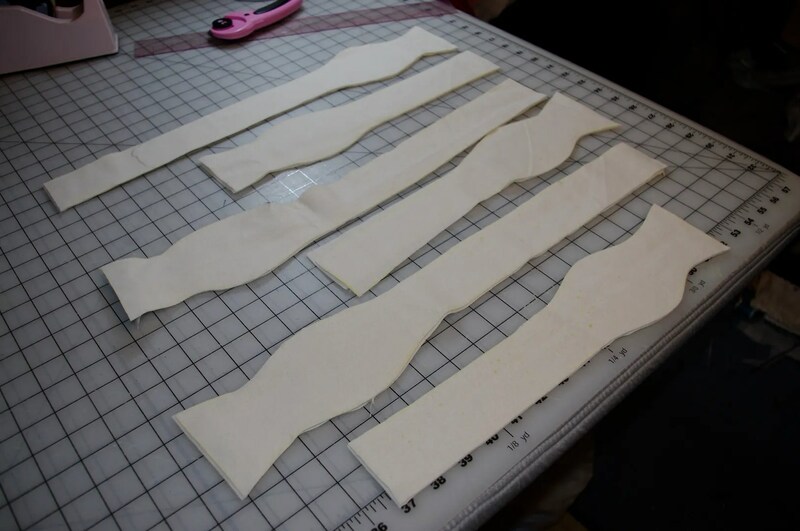 Bow ties, unlikle neckties, can be sewn on the straight or bias. I added four buttons about 1/2 inch apart starting 1/4 inch from the edge. 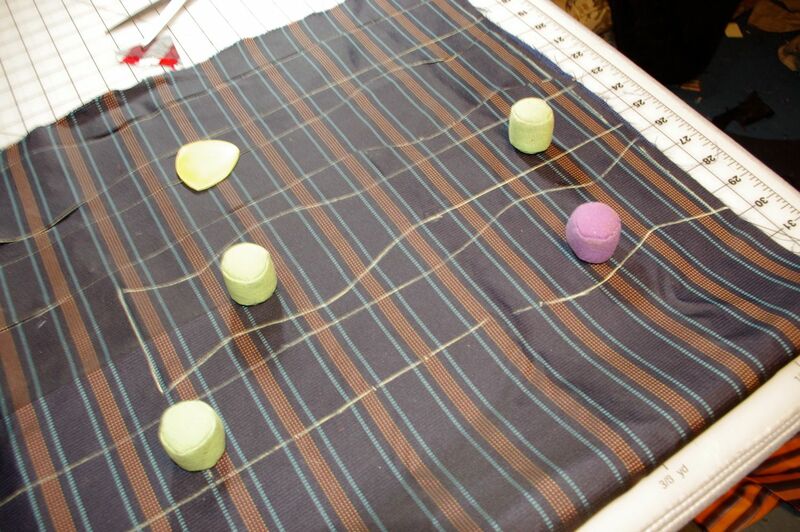 Sew the buttonholes vertically (mine are horizontal). I like a 3/8 inch 10mm button for these. And, here are said natty dressers modeling their new ties. Well, I made them for four men. Two of the women at my office scooped up extras. These were so stinking cute. I was very popular today after handing them out. SO cute! Bowties for everyone! So who wudda thunk it! How cute and the models to boot. You go Miss Thing! These are cute! But, what is a “natty dresser”? Is this some east coast term that hasn’t made its way to Texas yet? East Coast all right – about 1920. But bow ties are great, especially on younger guys. My dad wore them all the time when I was young (though his were never as spiffy as these and were, sigh, clip on’s) and my husband wears them occasionally. It’s a very different look, somewhat more dressy casual/academic/suede patches on the elbows/knitted vest look. they look great! i will save this post and refer to it later, my 11yo loves wearing bow ties, and wants me to make a few. I wish I knew some natty dressers. Both my sons have gone business casual, stress on the casual. PS If I were 40 yrs younger I would be asking for an introduction to the blissed out brotha. You “heard” right, F-O-R-T-Y! LOL, my thoughts exactly. Damn the ties, who’s the cutie! JK, love the ties. Looks fashion forward on both sexes. I love it!!!! What a great gift. They all look super and genuinely thrilled! love them! love them all! I’m bookmarking this post and David’s pattern from Burda. What a great gift idea this is. Now I wonder if I can turn DH into a “natty dresser”! lol! They DID turn out well! Very adorable! I wish someone in my life wore cute stuff like that (hint, hint for son and hubby)! Well, I’m in the market for an American husband so I can come live there and go fabric shopping with you! These bowties are supercute and I kind of like men wearing them. I wish I had someone to make them for. So cute! I love the bow ties! Those bow ties are awesome. Bow ties are so much easier to make than neckties. It’s not easy to find quality woven silk for bow ties. Where did you find the fabric? those are so cute and what great models you have! 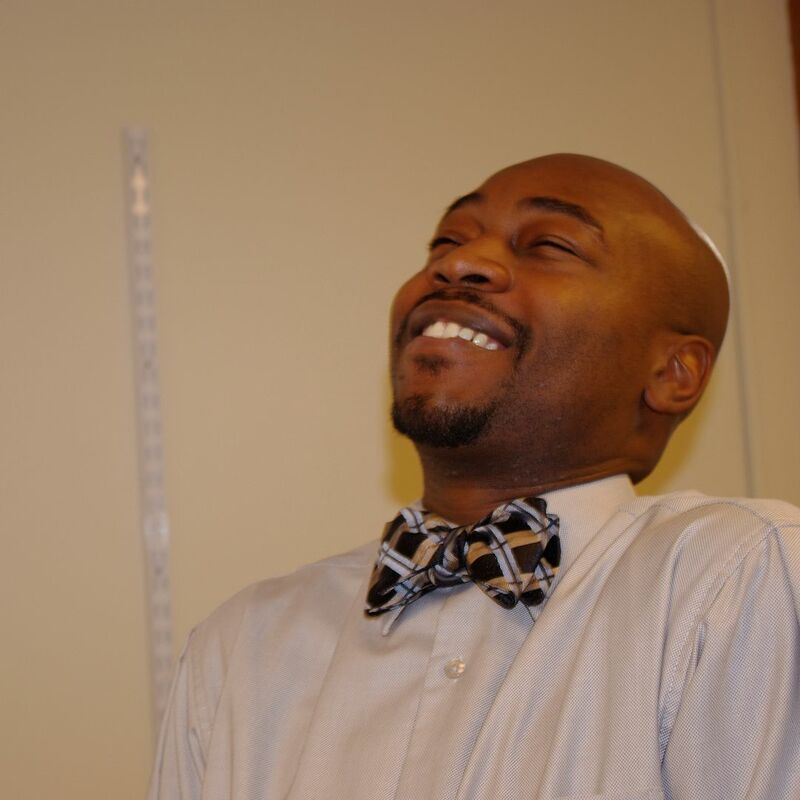 Ah bowties… My date to homecoming in high school wore a bow tie. I thought it was so cool and loved it that he stood out from the crowd. Cute fabric choices too. oh my goodness, these are fabulousness itself! I have to admit I’m a bit of a bowtie-snob and prefer the ones you have to tie each time. Though I totally understand not wanting to when I see/hear my fiancee struggle with and swear over his everytime he has to wear his mess kit, lol. Thank you also for reminding me that I need to dig out a recent sewing magazine I got that gives instructions and a pattern for making a bow tie from an existing necktie. A friend wants to make one for her bf. Maybe I’ll direct her over here too! What a fun post! I love it. How much fun can one girl have with silk fabric? These are awesome. What a great post. I love the photos. Is it a pre-requisite that everyone who works at your place has to be this good-looking?! Stinking cute is totally right! Mmmm. I might need a couple of these for myself. I used to have a Halloween standby, and lost in in some move.. Try leather next :-). wow, you found the perfect sewing-for-others project! Those are so CUTE! I can see why everyone wanted one – now I want one myself. You are right – they are pretty stinking cute! 🙂 I don’t think my husband will wear one or I would go out looking for some material right now. Gosh, I was going to teach a bow-tie and tie-making class a while back….I had no nibbles, but now may be the time. 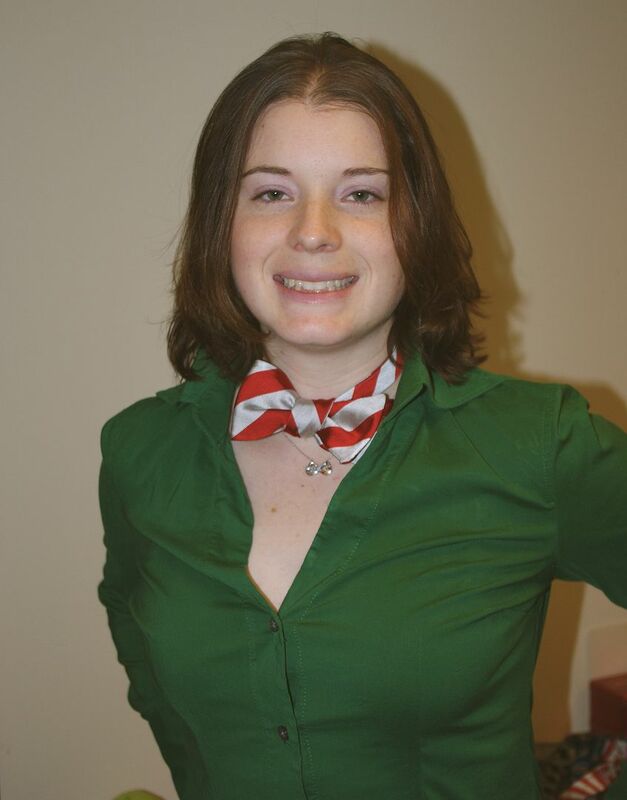 Cute bowties, officemates! I’m thinking about one too. There is at least one man at work who says he would take it. I think wedding season may be the right time. Plus, bow ties are so hip right now. I came in to work and have three emails asking about them. Those sweet ties brought me out of lurkdom to make my first comment. 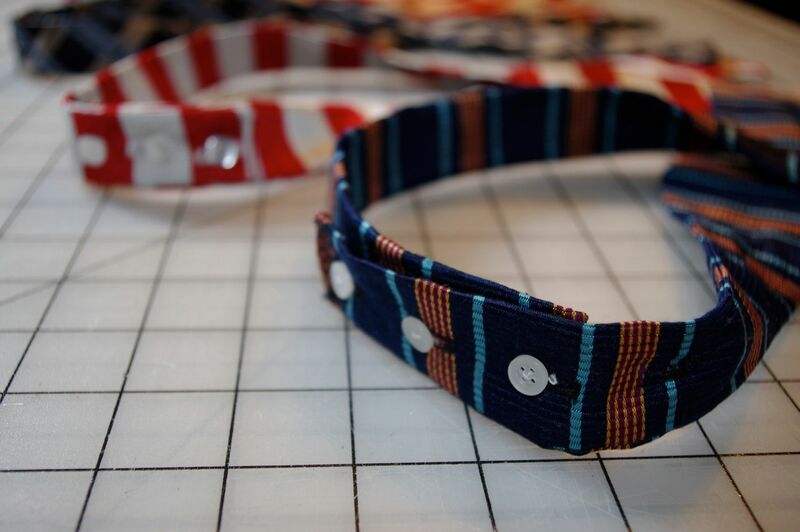 NO doubt craft fair sewers will look at them and add the ties to their repertoire; they’d be hot sellers. And speaking of hot, you can post more pictures of your officemate / male model anytime! Super cute ties & models – especially the hunky one. I’m married, but I can appreciate…. You know I think these looked great on the ladies too. The most recent issue of Vogue Patterns also has a free bow tie pattern in there also. I may make a cute pink girly one for myself. Definitely capitalize on the wedding and prom season around the corner talented lady. People are already looking forward to Spring. Awesome!!!! I may have to make one for myself. Such cute bowties! 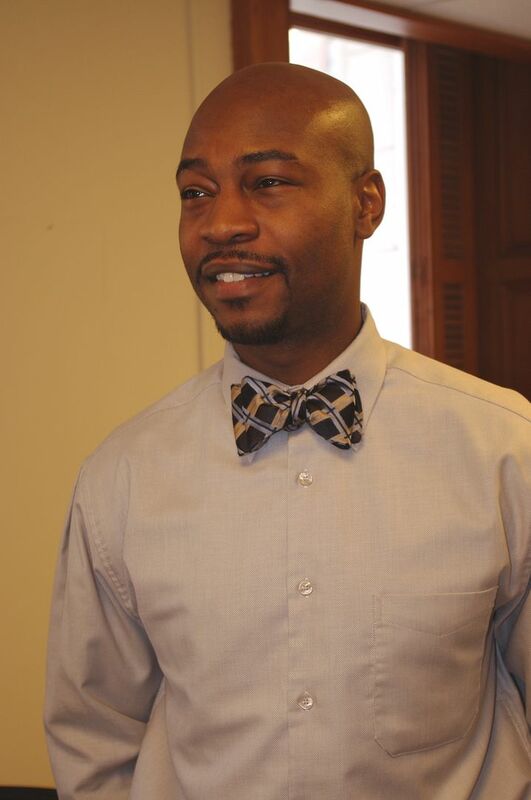 I’ve always has a soft spot for men in bowties, and snappy cufflinks…and…well anyway, I digress. The male model is damn cute too…(not to exclude the ladies). Cute. Here’s a variation I saw recently. Eee, they’re so adorable! I think the red and white striped are my favorite. Totally fun and really sharp-looking! What a great co-worker you are! A man in any tie these days is a plus and yours (ties that is) are so cute (read Natty). I hope this is a trend you’ve started. That young man needs an (modeling) agent! I love seeing those fabricmart silks in use. I loved those bundles and used them very differently.but each of those familiar fabrics looks like a friend. What a nice gesture! You are definitely the hit of the office. The bow ties looked nice on the women too. They look so cute. Nice to make them for your colleagues. Luckily, the way our desks are arranged I can only see his profile most days!